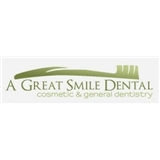 A Great Smile Dental (Las Vegas) - Book Appointment Online! We are a private practice established in 2004, dedicated to provide the highest quality dental care for our patients. We use cutting edge technology, techniques, and materials to ensure our patients get the best care available to date. Moreover, we are devoted to provide you with the warm, gentle, and personal care that you deserve. We educate our patients on the importance of good home care and encourage building a relationship with our staff to achieve the best results. This makes our patients happy and our staff proud. We treat the entire family. We provide preventative care, periodontal therapy, mercury free tooth colored fillings, digital x-rays, cosmetic makeovers in just two visits, porcelain veneers, metal free cosmetic crowns, zoom advance teeth whitening, beautiful custom made dentures and partials, and more! Well done. I was very satisfied with temporary crown.